Nutraceuticals 2019 is delighted to invite you to attend the “30th International Conference on Nutraceuticals and Natural Medicine” which is to be held at Osaka, Japan on January 28-29, 2019. Nutraceuticals Conference 2019 will be an unconventional and energize International conference reflecting the direction of nutrition in the 21st century in a secure yet exciting environment that offers a wide range of diversions to participants of all backgrounds. This conference provides a sterling opportunity to discuss the latest developments within the field. 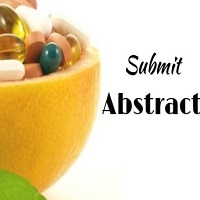 Nutraceuticals Conference 2019 highlighting the theme “Current Concepts and Prospects of Nutraceuticals and Natural Medicine” provides a sterling opportunity to share views, exchange knowledge and establish research collaborations & networking. 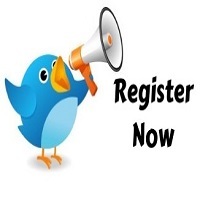 Nutraceuticals 2019 welcomes speakers, keynote speakers, presenters, delegates and exhibitors from all over the world to Osaka, Japan. We are delighted to invite you all to register and attend for the “30th International Conference on Nutraceuticals and Public Health” which is going to be held during January 28-29, 2019, Osaka, Japan. Osaka is located roughly in the center of Japan, on the main island of Honshu,. Osaka City was incorporated in 1889, has a population of 2.69 million and an area of 225.21 square kilometers. Osaka Prefecture, which includes Osaka City and 42 other municipalities, has a population of 8.84 million and a total land mass of about 1,905 square kilometers. Although Osaka is Japan’s second smallest by size, its population represents 7% of the entire nation, after Tokyo making it the second most populous prefecture. Now 10% of all non-Japanese residents live in Osaka. Kansai(Hyogo, Wakayama, Shiga, Kyoto, Nara, and Osaka) area covers a total of 27,350 square kilometers within a radius of 100 km from the center of Osaka. The population exceeds 20 million, making the city one of the biggest metropolitan areas in the world. Kansai represents approximately 16% of Japan’s gross domestic products. The scale of its economy alone exceeds that of Indonesia.